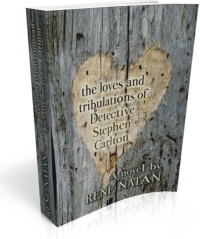 Three women scar Detective Stephen Carlton’s heart. There’s April who makes him know the vortex of passion and then Gillian who gives him a family. But misfortune seems to befall his lovers. Only after years of tribulations Stephen falls in love again—this time with beautiful Livia—a fugitive accused of a horrendous murder. Now he has to choose between duty and love.